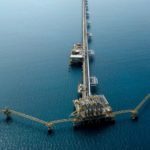 The PNG LNG project in the Highlands of Papua New Guinea, damaged by a powerful earthquake in late February, has now resumed normal production according to its joint venture partners. 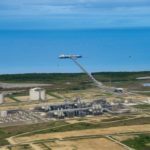 ExxonMobil, the majority holder in PNG LNG with a 33.2 per cent interest, released a statement saying the PNG LNG plant train two has safely restarted, with LNG exports resuming as the plant returns to normal production levels. Production had been ramping up since the restart of the Hides gas conditioning plant and train one earlier this month. The company now expects PNG LNG to reach full capacity in May. In addition to working on the restart, the company is making wider efforts to offer humanitarian support to help the local community after the 7.5 magnitude earthquake, which has killed more than 145 people and left over 270,000 in need of help, set off a national state of emergency. Oil Search, the company with the second-biggest share in the project (29 per cent) has also been assisting in the rebuilding efforts, having fixed solar panels in Sisisbia and installed water tanks and clean water to Sisibia, Kaipu and Hebaiya. ExxonMobil PNG has delivered 50t of food and drinking water, 600 tarps, 1020 solar lights and various other items such as purification tablets, hygiene kits and cooking aids. “I am extremely proud of the spirit of partnership and commitment that has been displayed by so many in recent weeks to help our business and communities through these events,” said ExxonMobil PNG managing director Andrew Barry. Project partner Santos, which holds a 13.5 per cent interest in PNG LNG, also released a statement regarding the return to normal production, with company MD and chief executive officer Kevin Gallagher stating that “the safe restart and ramp-up of both LNG trains ahead of ExxonMobil’s previously estimated eight-week timeframe is a major achievement by the operator”. Other companies with an interest in PNG LNG include Kumul Petroleum at 16.8 per cent, JX Nippon Oil & Gas at 4.7 per cent and the state-owned Mineral Resources Development Company (MRDC) at 2.8 per cent.